Our latest research project at Red Wire Services involves backup solutions for professional photographers and advanced amateurs (videographers stay tuned). Our intent is to discover if the photography market is well served with reasonable backup solutions, and if not come up with our own. The hunch is that photographers are not well served as they have as more data than most small and even some medium sized businesses, but usually have small budgets. We’ve spoken to dozens of professionals in this space, and get just about as many opinions, methods, and pain points regarding backup and archiving of their precious photographs. Some are content with somewhat limited photography sharing sites. Some are not concerned about data loss after delivery of photographs to their customer. Some wisely integrate backup and archiving in their workflow, incorporating multiple hard drives, computers, CD/DVDs, and storage locations. Just typing that, it sounds like a lot of work. Some have tried the photo sharing sites, or consumer/small business focused backup services (such as Carbonite or Mozy), only to find out it’s impossible to synchronize all of their data. Others may have found reasonable solutions, but only at an unreasonable cost when their archive reaches 500GB, a Terrabyte (TB), or even more (especially those archiving RAW format photos). During a conversation with one particularly astute photography professional, I was introduced to the most popular online services for photographers, especially those wishing to sell their photos online. With that nudging, and some mention from other photographers, I decided to take a deeper look at what seems to be the most popular services (if you know of others we should look at, please leave a comment!). All of these services likely force you to select each and every photo you wish to upload, which will require a lot of time to go through your collection. You’ll also have to wait for uploads to finish before you can continue on to your next set of photos. Our planned service does not have these limitations. These services are also aimed at selling your photos online, not archiving important data. 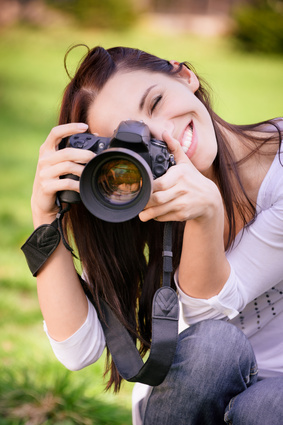 If you intend to sell photos online, these services may fit your needs. Out of the above, “on paper,” it appears PhotoShelter takes the cake for commodity backup, archive, and sharing of professional photos online. Not surprisingly, it is the most expensive as well. If you have just a moment to spare, we’d really appreciate it if you could fill out our photography backup survey. If you are interested in learning more about our service, please leave your contact information in the comment section of the survey. Are we on the right track? Barking up the wrong tree? Any inaccuracies? Kudos? Leave a comment and join the conversation. No time for surveys? Still need help deciding on what is right for your photography backup, or need help implementing an archive system or backup strategy? Contact Red Wire Services today at (206) 829-8621. This entry was posted in LinkedIn, Off The Wire and tagged backup, cloud backup, disaster recovery, photography. Bookmark the permalink. Check out Mosaic. We are a online storage and digital asset management company that is focused on helping serious photographers. I was going to add that to this post today, as I heard about this service over the weekend. I wish you luck, Mosaic is just what photographers need. The most cost effective off-site data backup solution is Backblaze, which costs only $5 a month for however much storage you need. Couple this with a large local NAS server, and you’re pretty much done. I have been looking into backblaze and found two major problems. 1. photographers have a lot of data– with a couple of shoots on my hard drive, and one of my external hard drives attached, back blaze will take more than 100 days just for the initial backup– in that time I will have more data, it seems unlikely that it will ever be a timely service for a photographer. Maybe if I had a faster internet connection? From my home office, it is a pretty decent connection for general uploading… 2. Backblaze is not set up for archiving– if I want to backup several external hard drives, I have to make sure that I am regularly connecting them to my desktop and backing them up with backblaze, even if there is nothing new on them— if back blaze notices that I have not connected a specific drive for 6 months, it will delete all of that data. My dream service would be something that I can archive all of my old drives to, as well as regularly add new data easily and quickly– basically it would be like one giant external hard drive that never gets full, but is also off site– and of course it would have to be cost effective for a sole-proprietor type business. 🙂 Does this exist? Are you making this Red Wire Services? You bring up good points regarding limitations on Backblaze, but it is the best widely available solution I’ve found in general. Mosaic Archive is fantastic for photographers if you use lightroom and are on Mac, and it is reasonably priced. It looks like PC support has also been added, but I’m not that familiar with Mosaic. As to your ideal service it does not exist that I know of. Red Wire did have a offering close to what you want, but we have phased it out do to low demand. I think it’s just too expensive, and there isn’t a magic bullet, it’s akin to “faster, lighter, cheaper”… you have to pick TWO only. You can’t have it all. Even our service required a fast upload speed. I have a client with a 100Mbps upload capacity, and on their network BackBlaze works very quickly, backing up 50GB in just a few hours. So it is possible, but a 100Mbit upload is going to cost thousands per month and only large firms can afford that. Some online services, ours included, can accept hard drive shipments, but most have removed this. Last I recall CrashPlan still had that option, as well as Mosaic Archive. However, you still need enough bandwidth to upload new shoots. If you can get 5+Mbps upload from your internet service provider, that should be completely feasible. That is not a common speed, but here in Seattle it’s widely available for maybe $100-150/month. I’d suggest you look closely at Mosaic Archive, that’s your best reasonably priced solution if it fits your needs. Should also include DPHOTO. they provide secure cloud storage for all file types including raw and video. It also has an easy to use photo manager where you can organise your photos into albums and folders. You get your own gallery at yourname.dphoto.com or you can set up a custom domain. It is a really well designed site so you can use it as your portfolio. ← Office Fire: It Can Happen To You!